Leigh House is believed to date from 1574 and was part of a farm estate given by Elizabeth I to Robert Leigh. 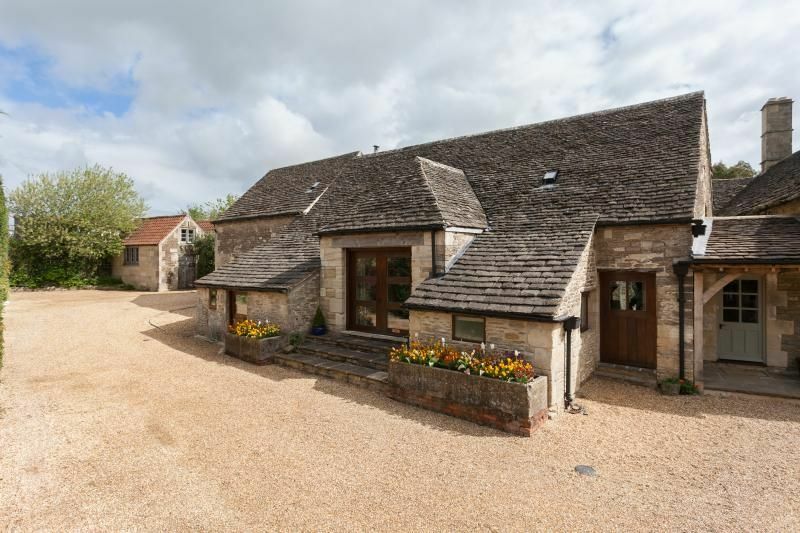 The property extends over 4.5 acres and includes the Tithe Barn and the Bake House, which has 14th Century origins. It was a wealthy estate and the depth of the well in the courtyard indicates that it was a property of significant importance during its time. In the early Eighteenth Century it was owned by Robert Taylor who lived in the main house and manufactured cheeses in the cheese loft, now a bedroom over the main kitchen. It was converted in 2006 and has been completely refurbished by the current owners. Appreciate this amazing piece of rural architecture at the entrance. Huge crook beams, smooth stone floors, white-washed walls taking your eye up to the ancient oak rafters, with a cascading brass chandelier hanging from the beams. The big barn doors have been glazed to light up the open-plan living and dining room. It is warm and inviting (under floor heating) with 2 great 'L' shaped leather sofas behind and large antique coffee table, a broad wood-burning stove packed with logs, lots of good books, games and movies and a TV (with Sky, HD, Box office, Kids TV and Sky Sports, and DVD). There is also a Bose stereo for your ipod, with great sound quality and Wi Fi connection is available throughout the barn. The long, pretty French country table seats up to 12 and is placed in front of a set of broad glazed barn doors that swing back in warm weather. The table can be extended to seat up to 18. The bright and sturdy oak and stone Kitchen is in the old bull pit which is a couple of steps down from the Living room. There is a big electric range with 2 ovens, a grill and a warming plate and a 6 ring gas hob. Also here is a microwave, a dishwasher, and a large fridge. There is additional fridge space in the stable at request and laundry facilities across the yard in the games room. The kitchen has plenty of equipment for culinary flourishes, lots of china and thankfully no bull! The back door leads out to pretty west facing seating area with a table and chairs for 4, a bench, and potted herbs to add zest to your cuisine. The owner adores vintage finds from French provincial markets and has created four charming bedrooms, every room in the barn is elegant, luxurious and decorated with original artwork. The exposed beams and stonework create a wonderfully rustic and romantic setting. There are 5 bedrooms in total, all have ensuite bathrooms. On the ground floor on the south side of The Barn is a delightful and spacious twin room with oak paneling wrapped comfortingly around two single antique beds. There is a large pretty oak wardrobe and chest of drawers and an elegant antique chaise. It has a contemporary oak paneled ensuite with decorative stone tiling. There is a bath (with shower over) a recessed hand basin , a WC and lots of storage. An Oak bridge spans across the living areas below and leads into two more bedrooms. Low beams and low doorways are a feature of these atmospheric rooms. They carry the weight of history so watch your head on them! A pretty double bedroom under the eaves has a white king size brass bed. It has a chest of drawers, a dressing mirror and an inviting chaise. There is a small oak panelled ensuite with bath, hand basin, and WC. Across the bridge is a handsome double room with a king size sleigh bed, a wardrobe and chest of drawers, an elegant chaise, and a clothes rail. The ensuite has a bath, hand basin and WC. 2 further rooms called The Hayloft and Empire are reached through a separate door from the lounge. Empire room is the newest room and is full of French antique furniture harking back to a more elegant era. The ornate fabric embossed king sized beds have marble topped nightstands with lamps either side. There is a full height chestnut wood painted armoire with a mirror and a gilt chair. The walnut and marble "Empire" chest of drawers sits along one wall with a gorgeous mirror above. There is a standard lamp, rug and a very old hand stitched tapestry on the wall. The bathroom has a walk in shower with wood effect tiles and Cath Kidson flooring. There is a vanity unit, mirror, shelves and a loo. The Hayloft room is up a stairway, and has a double room with a white king size brass bed, fitted storage, a chest of drawers and a little chaise. The ensuite has a bath (with shower over) a hand basin and a WC. The old dairy has been renovated and boasts a fabulous sauna to seat 8 people, a shower, and a utility area with washer/dryer in one area. There is also some exercise equipment including stepping machine, treadmill and rowing machine. If exercise doesn`t excite you then you can relax on one of the 2 sofas and enjoy listening to music, playing wii or watching TV. 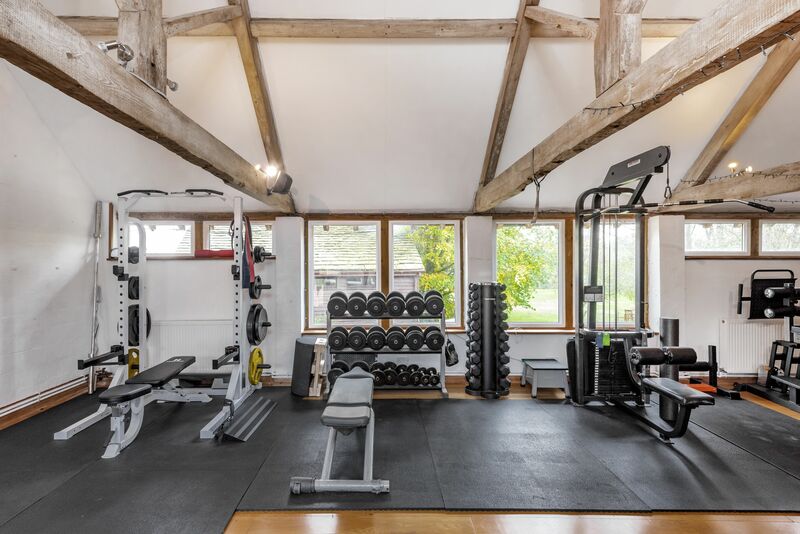 The state of the art gym and sauna is shared with those renting the bake house and also the Owners. In this rural setting, The Barn, The Bake House and Leigh House, (the owner's residence) are clustered in a 'u' shape around an idyllic planted courtyard with the original well that supplied the farm. These wonderful old buildings are surrounded by cobbled paths, gardens, orchard, paddocks and fields with southerly views towards Salisbury Plains and The Whitehorse at Westbury . Behind the Bake house is a large secure walled garden with a lavender walkway leading to a rose arbor and plans for a pottager with flowers, fruit, veg and herbs. There are outdoor tables and benches dotted all around the grounds so you can relax and take in the country air. Pick your own apples, pears and plums from the Orchard or head towards a large south facing paddock with lovely views, seating and BBQ area. Bring wellies for lovely local walks into Bradford-Upon Avon (just 10 mins. away) or longer walks to South Wraxhall. There are 3 pubs within a short walking distance. The Castle is a gastro pub, The Bunch of Grapes is renowned for Sunday roasts and award winning pies and The Dandylion which is good for a pint and pub fare. In Bradford-on-Avon, The Café Amichi is a very convivial Italian restaurant, The Bridge tea rooms are famous for its 3-tiered afternoon teas. Try the Thai Barn for delicious food with great service, or Avon Spice for Indian Cuisine that can be delivered. On site and local Babysitters are available and come with the recommendation of the owners who use them for their own family. Although completely self-contained, The Barn and The Bakehouse can be booked together to provide accommodation for up to 18 people. 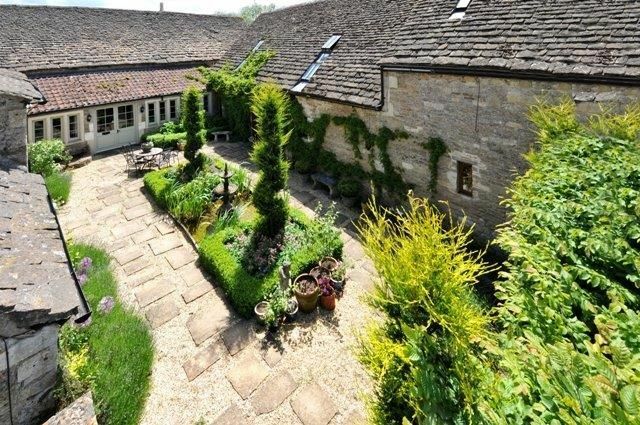 Leigh Barn is 1 mile from Bradford-on-Avon and 7 miles south-east of Bath. The nearest railway station is Bradford-on-Avon with links to Bath, Bristol, Cardiff, the South west, London Paddington or London Waterloo. Taxis are available from here, call Bradford-upon-Avon Taxis Tel 01225872277. The nearest convenience store and petrol station is Texaco towards Bradford-upon-Avon. Only 7 miles away, Bath is a beautiful world heritage city with many historic places to visit, as well as fascinating museums, galleries, wonderful shops and a great selection of restaurants. Open-top city bus tours are a great introduction to all the sites. You could book a show at The Theatre Royal, Komedia comedy club, or a relaxing soak in hot mineral waters of the Thermae Spa. There are frequent trains from Bradford-on-Avon taking less than 15 minutes (running approx. every 15 mins. until 11.30pm) There are hot air balloon flights available in Bath, as well as bicycle and boat hire. Call the Bath Tourist Information Centre Tel. 0906 711 2000. Really enjoyed our stay at Leigh barn over Christmas. The house was spacious, clean and had everything we needed. We loved how it had been made to feel festive too. Communication with owners was great. Only 15min drive from Bath and 5min drive to Bradford on Avon which was charming. Would definitely recommend. Thank you so much for ensuring that our group of 6 had a wonderful time at Leigh Barn. Sue and Teddy were very friendly, hospitable and helpful in sorting out all our needs. The barn itself was fabulous, especially its wonderful atmosphere, en suite bathrooms for each bedroom giving us the luxury of hotel accommodation within our own home, Sunday check-in, minimum two night stay and very accessible by train as well as car yet rural enough for some beautiful walks, more than ticked all our boxes! I would definitely recommend this barn and your company with 11/10 score !! As the organisers, Andy & I were extremely impressed with the property and the owners approach to welcoming their guests. It really was a perfect property to host a 50th birthday party where spending time relaxing with friends and family was the priority. The whole barn has been presented with taste and care to provide a high quality of service, and we found no faults to mention. We were blessed with great weather, which has luckily been the norm for my birthday which falls on the 24th September (how I love Indian summers). All of the invited guests provided similar feedback, positively commenting on the comfort of the beds and the overall quality of the barn. Everyone at some point said 'I could live here'. Best wishes to Teddy and Sue. The Barn was very comfortable and spacious. The area is also very attractive with lovely scenery. Having not been to that area before, would happily return. Especially liked Bradford on Avon. We had such a fantastic time at Leigh Barn from April 2 - 6. What a fantastic place! Amazing building with a great history. We all loved the roof! And the fantastic and large living area, and all the en-suite bedrooms. And all so well equipped. It certainly made my 60th birthday very special. “We’ve rented Leigh Barn for a long week end and had such a relaxing and enjoyable time. It started with a lovely welcome from our host Sue who was very accommodating the night we arrived as we had quite some delay compare to the time we were meant to arrive. Then thanks to her warm welcome with the fire on and some amazing fresh scones, clotted cream and jam we felt home straight away. We really enjoyed our return visit to Leigh Barn in October. Our first visit was with friends to celebrate a special birthday and two years later, we celebrated our book club still thriving after twenty years. to make it a perfect stay. The barn was even better equipped ,with an additional luxury bedroom and new furniture and even without lighting the fire, we were very warm with just the central heating. Although the barn is in the grounds of the owner’s home, we were totally independent and not overlooked and it was wonderful to walk in the paddock at the back of the barn. 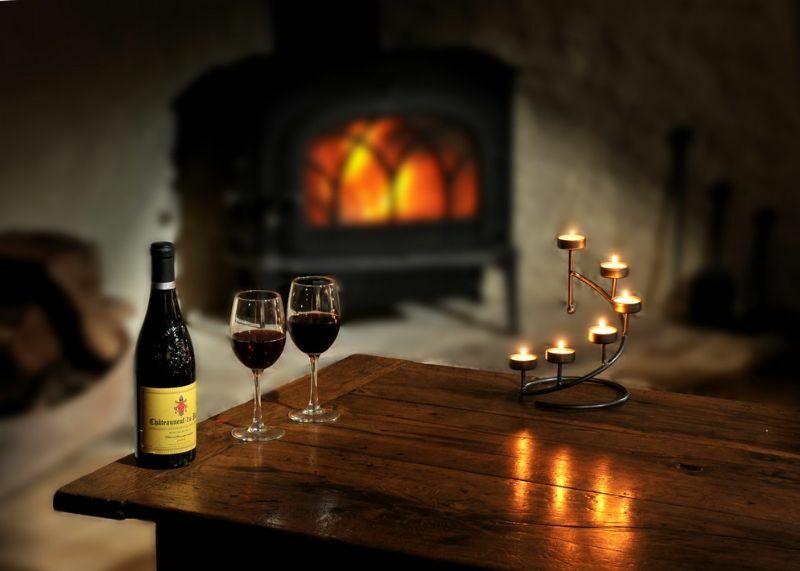 Leigh Barn provides a great place to relax, have space and enjoy comfortable luxury. I stayed here with 9 of my friends to celebrate my 40th birthday and I couldn't fault it. The barn was absolutely stunning and the location is good. Sue the owner was lovely and always on hand if we needed her, there was also a delicious cake there for us on our arrival. I would definitely stay here again. The mattresses were so comfy and luxurious. We were two families that stayed in leigh barn, each with two children age 15 and 11. The accommodation was perfect and the leisure complex was very handy for the children to escape to. Lovely walk to Bradford on Avon and enjoyed good meals in the castle inn. Sue was very welcoming and helpful. A hidden gem in a lovely part of England. We so enjoyed our stay at Leigh Barn. The facility was so charming and well thought out. The kitchen was beautifully stocked for our cooking. Sue is a delightful hostess with wonderful ideas and suggestions of things to do and see. I would definitely recommend this to anyone thinking of a stay in the Bath area. Thanks Alexa, was a fantastic weekend in a lovely setting-you were most helpful in the weeks preceeding our arrival and the owners were a delight. The beef wellington from Cavendish cooks was sublime. When searching on line for a property in the area we thought it looked fantastic and it did not disappoint in reality. Sue and family made us so welcome. The accommodation itself was of the highest standard, so clean, comfortable and spacious. It ticked all the boxes for 3 families with ages ranging from 3 to 74 years! As well as the accommodation itself there was a great outside space for relaxing with a bbq and large grass field for the children to play football, cricket etc. We had a wonderful holiday and cannot recommend Leigh Barn highly enough. If ever we go that way again there is only one place to stay. What an amazing place. We stayed in Leigh Barn to celebrate our daughter’s wedding in August 2013 and other relatives stayed in the Bake House. It was a wonderful arrangement of accommodation that suited our requirements perfectly. Leigh Barn was delightful in every respect – clean, tidy, well equipped, spacious and I mustn’t forget - the amazingly comfy beds!!!! The games room and sauna were fabulous and proved very popular with all the wedding party. This truly was a real find and I am unable to find fault with anything. We really must book a return visit. We had an excellent stay at Leigh Barn. The property is lovely and beautifully converted and had loads of room for all of us. The beds were extremely comfortable and having an ensuite to every room was a real bonus. Sue and Teddy are very welcoming-lots of useful local information and lent some of our party bikes so they could cycle along the Kennet and Avon canal into Bath. The gym and sauna came in very useful, as well as the table tennis! One thing regarding kitchen equipment which you may like to pass on to Sue-we did most of our own cooking,and it would have been useful to have a)a very large saucepan,the sort you can use for pasta and b)a large casserole. I know that a lot of people eat out but we all like cooking and with large numbers you need big pieces of equipment occasionally. There were loads of saucepans but they were all small to middling. Only a minor thing which would help in the kitchen area. Thanks for all your prompt help-I shall certainly recommend your company! A wonderful warm welcome was received along with some warm scones for afternoon tea on arrival. An immaculate cottage which oozed quality from furniture and fittings to the towels and bedding. The beds were so comfortable in all bedrooms. My young daughters loved exploring and playing princesses in the quaint bedrooms and loved playing outside in the safety of the field and in the playroom. 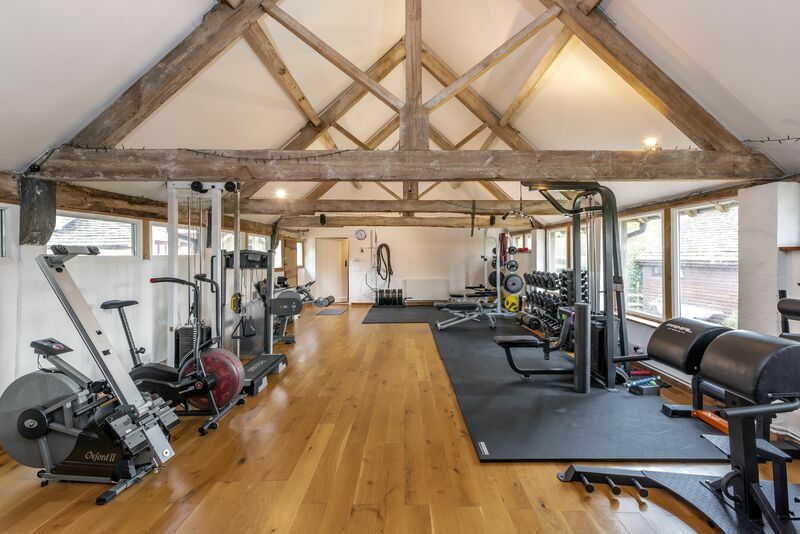 The gym equipment and sauna were enjoyed by the adults as well as the BBQ area. There really was something for everyone. A little touch of luxury from which we enjoyed exploring the surrounding area. Sue was happy to help out with anything we asked of her - most accommodating and eager to make the stay as enjoyable as possible. A much enjoyed break shared by three generations. " Wow.... what a fantastic place to spend the weekend. We all had a lovely time at Leigh Barn and I am sure we shall book again as a group and as individuals. Thank you so much for making a Birthday celebration a joyous one!!! We had a lovely time at Leigh Barn and were able to celebrate my 70th very well. It is a beautiful place, the owners have retained all the charm of a barn but with all the modern comforts. There was ample room to sit together and yet have our own space, the games room and the sauna was a great attraction for the family. The owners were very attentive and helpful in everyway and made sure we had all our needs met. Bath of course was the big attraction, but my wife and I loved Bradford on Avon and wished we had more time to just walk around. We had a wonderful weekend in Leigh Barn. Thank you very much. It was perfect, especially the games room which we used for yoga and table tennis. Leigh Barn is the perfect place for a family celebration. We took the house for a week in order to attend and celebrate my daughter's graduation and my father's 70th birthday which happened to fall on the same day. There was enough space for teenagers, parents and grandparents to have quiet time whilst the open living, with its gorgeous architecture and log burning fire, provided a welcoming hub when we all came together. Without the house and the outside spaces I don't think all 3 generations would have been on talking terms by the end of the week!" Alexa, thank you the house was absolutely lovely, your service was brilliant, the owner delightful, we can fault nothing! Just an email to you and your family to say a very BIG thank you for allowing us use your barn and gardens for our wedding pictures and wedding weekend. It really is a stunning place! We had such an amazing day and didn't seem to notice the weather. We very much appreciated all your help and for allowing so many people to be in the barn on the Friday and Sunday it made it a memorable weekend for many ourselves included! Quite a few people made the most of the sauna and games room, including ourselves!! There may be nicer places on Gods earth from which to send ones daughter off to be married and to entertain ones family but I can't imagine where they might be found. Thank you to David and Sue for being so understanding and helpful. Thanks for the great weekend we had in the lovely leigh barn, very comfortable and beautifully decorated. the scones on arrival were a nice touchThanks for the great weekend we had in the lovely leigh barn, very comfortable and beautifully decorated. the scones on arrival were a nice touch. We had a lovely time at Leigh Barn; they had prepared everything for us from the mince pies and spiced cider, to the Christmas tree, and the unexpected sauna! The property itself is beautifully converted and luxurious with comfortable beds and en-suites in every room. The sitting / dining room has underfloor heating and the best wood burning stove I've ever used so we were always toasty warm. The kitchen is very well equipped - which came in handy for the two Christmas dinners we had plus the usual festive snacking. 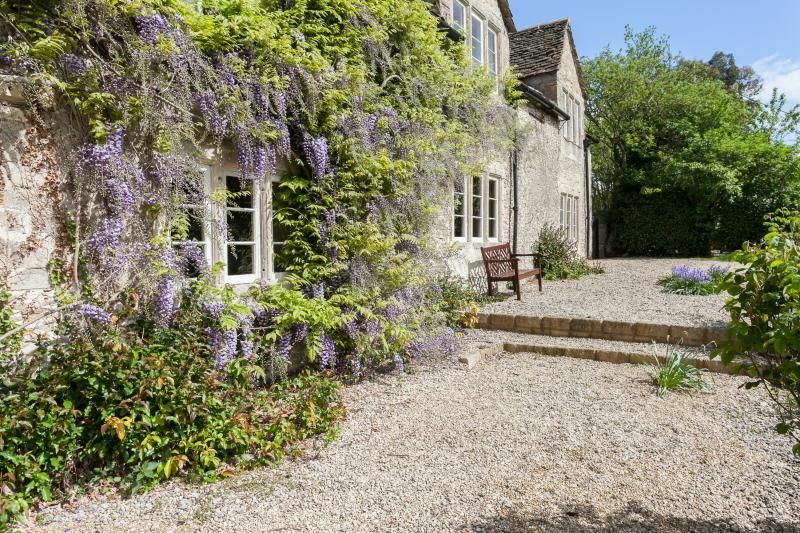 The situation is pleasant, far enough out of Bradford on Avon to be peaceful but close enough that amenities aren't very far away, and only 25 minutes away from Bath for shopping, the Cathedral, or the spa. We even managed a trip to Stonehenge! All in all, a great success and so homely that we all relaxed straight away and enjoyed our time together. Shame not to have met our hosts who, I believe, were away in America for Christmas, but we wouldn't hesitate in recommending Leigh Barn for any group looking for somewhere to chill out together. Lovely! Happy memories. Thanks for all your help, Alexa, I'll be sure to point people your way!